Let’s be honest here, beauty regimens are not the easiest to keep to, especially if you have an unrelenting schedule. Of course, there are products that we use without fail everyday but it is the add-ons that are impossible to remember. Exfoliate twice a week; use brightening mask twice a week; use hydrating mask thrice a week etc - I mean, with our brain space already filled with other important information, who can remember which day to do what step? Plus, I always believe that the secret to good skin is to not pile on too many products or use products that won’t work well with each other. 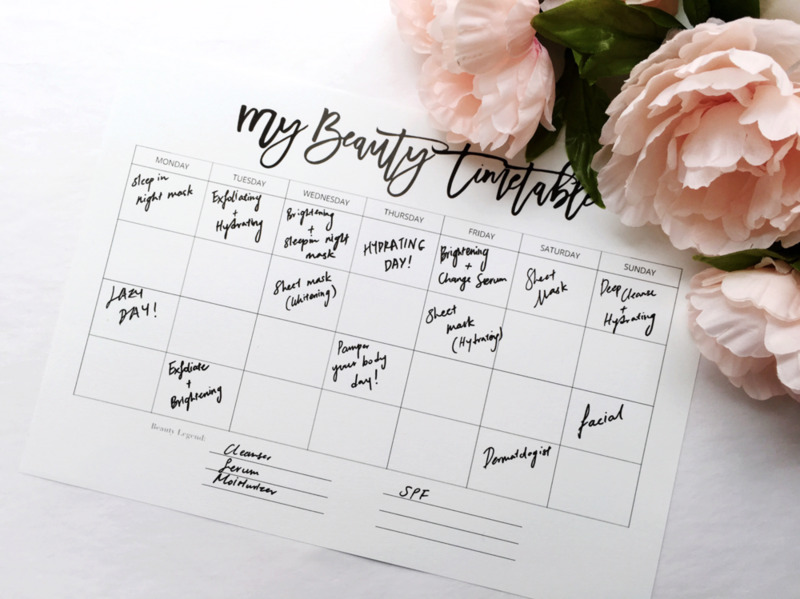 This is why for the new year, I’ve decided to come up with my own monthly beauty timetable for myself and, at the same time, share with all of you. Best part: you can download the blank template at the end of the article to fill in your own regimen! Beauty regimens should be an enjoyable process and not an over-zealous, authoritarian one. So, the timetable I’ve created for myself is something that is flexible which will serve as a reminder more than a rule. For instance, on the first week, I’ve decided to focus on hydrating and brightening. This narrows down the products I can use and by dating it, this also ensures that I don’t forget. Here’s a little explanation of how I’ve planned my first week. For the rest of the month, you can fill in accordingly with what you’d like to achieve on each day. I always recommend to switch things up a little and play around with it. I’ve also set aside dates for the month where I choose to be lazy and do nothing at all because yes, you are allowed to do that. There are days when I'll focus on my body and I'll also include reminders on when to go to my dermatologist. These are things we tend to forget easily. Personally, I haven’t found the time to go to my dermatologist in months. 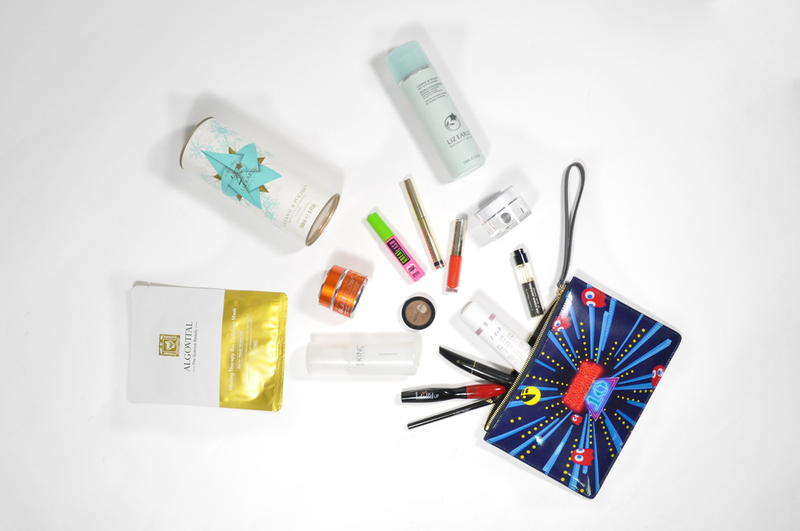 The beauty legend is a list of products which you should use daily - not that you’ll ever forget, but if you’re not a beauty addict, this can surely help you create a list of must-haves for your daily routine. Most of all, have fun with the timetable. Use it to target the problems you want to overcome in 2016. Remember, beauty regimens should never be rigid. There can be weeks where you want to focus on just using sheet masks because you’re simply too lazy to bother with anything else. My one hope for all of you in 2016 is: May you never forget your SPF again!